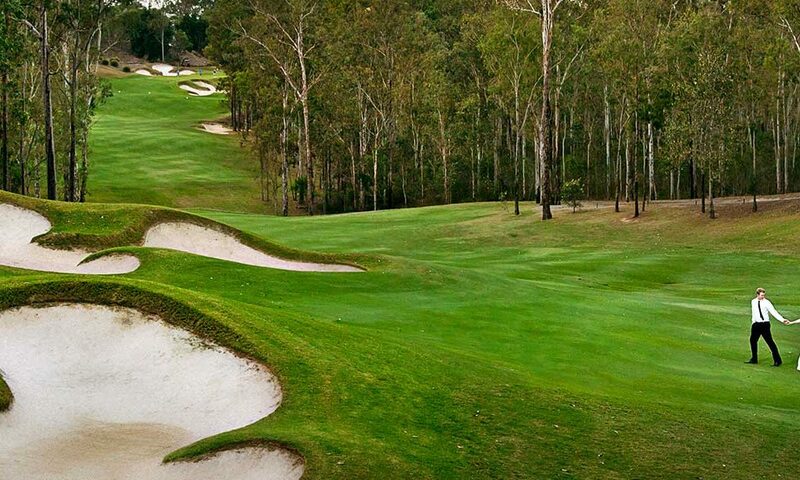 The Brookwater Golf & Country Club can provide the perfect, intimate and naturally inviting space for any of your wedding needs. Whether you are considering a cocktail style or traditional seated wedding reception, we offer a variety of packages and amazing menu options which will add to the magic of your day. Our venue offers the versatility of providing an intimate space for low key affairs or large events catering for 180 sit down or 300 cocktail. An Events Coordinator can assist you in selecting the perfect menu, theming & entertainment options to reflect your style and bring your vision to life, as well as ensuring all the details are perfect on the day, down to the creating the table menus, creating a memorable experience for you and your guests. Already planning your wedding, and finding it an endless list of things to do and making the lead up to your big day stressful? Check out when the Brookwater Wedding Expo is via our upcoming events page and find some of Queensland’s most prominent wedding specialists to help you! From photographers and videographers to caterers, musicians, and florists, there’s something for every element of your big day. Exhibitors are on-trend and full of innovative ideas, and all guests are privy to a plethora of ‘on the day’ specials to place the wedding of your dreams within reach.